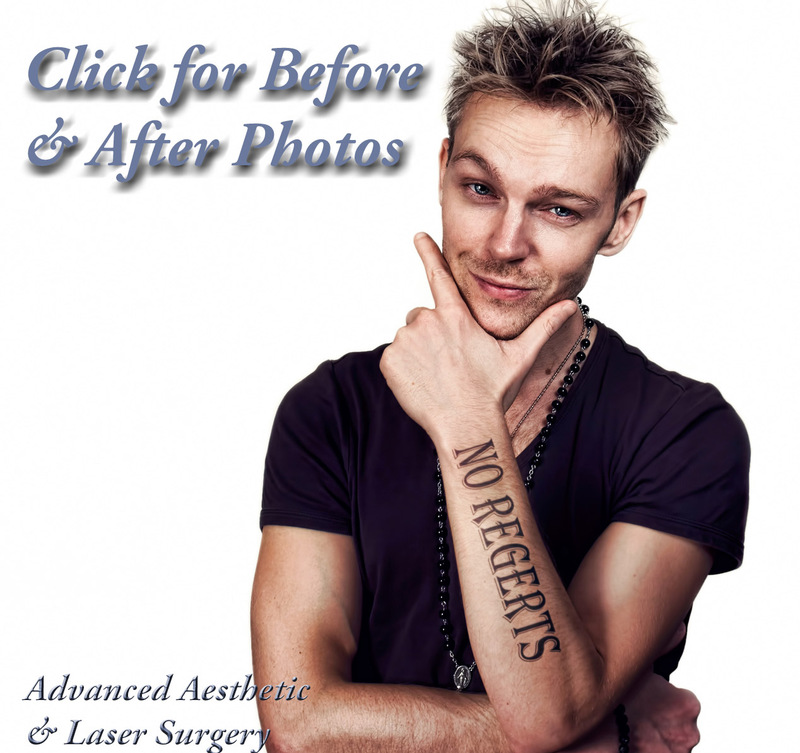 The best lasers for the past 20 years for laser tattoo removal have been Q-switched Nd:YAG lasers. Nd:YAG (neodymium yttrium aluminum garnet) stands for the crystal in the laser which produces the wavelength of light which is 1064 nanometers. This wavelength is absorbed well by most black inks and is effective at penetrating relatively deep in the skin compared to lasers with shorter wavelengths. These lasers generally also have a doubling crystal that cuts the wavelength in half (532 nm) making it also very effective at removing most red inks. The Medlite II made by Hoya ConBio was the most popular Nd:YAG laser for many years but was gradually replaced by the Medlite C6 and Revlite lasers. These lasers also have polymer hand pieces which convert the 532 nm wavelength into 585 nm and 650 nm to help with blue and green inks respectively. Unfortunately, these can only fire once or twice per second (compared to ten pulses per second) and cannot be adjusted with respect to spot size or energy which significantly limits their effectiveness. 2013 has seen a revolution in laser tattoo removal with the introduction of the PicoSure laser by Cynosure which also now makes the Medlite C6 and Revlite lasers. It is a Q-switched alexandrite laser giving it a wavelength of 755 nm which is much more effective on green and blue inks. The innovation, however, is the speed of the pulse of light delivered by the laser. Rather than firing in nanoseconds (billionths of a second) it fires in picoseconds (trillionths of a second). This faster delivery of light breaks up the ink particles into finer particles than the Nd:YAG lasers which makes it easier for your immune system get rid of the treated tattoo ink particles.